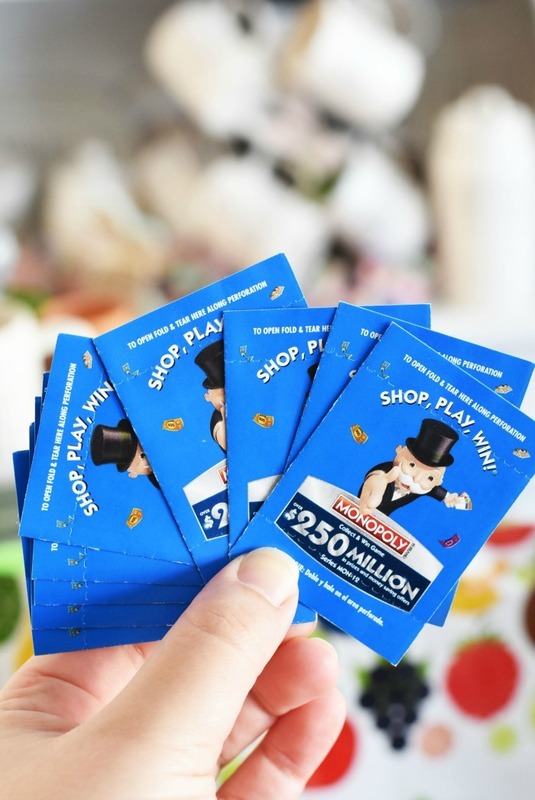 If you are like me, then you have got to be having a blast playing the SHOP, PLAY, WIN!® Collect & Win Game featuring MONOPOLY at your local Shaw’s or Albertsons family of stores. I have been faithfully tracking sales to get the best deals on some of my favorites brands that produce game tickets with each purchase. All so I can get closer to possibly winning a prize! 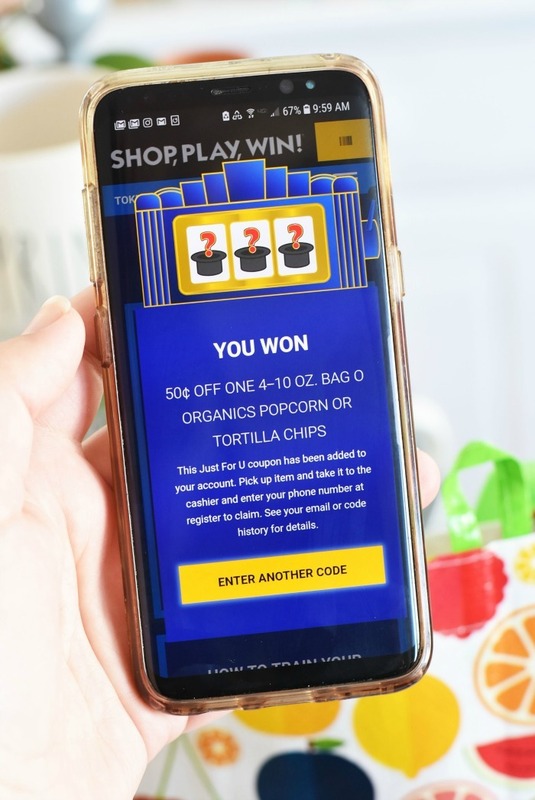 Each qualifying purchase from brands like Quaker, Pepsi, Cheez Itz, Kellogg’s Rice Krispies Treats, and Chips Ahoy produce BONUS game tickets. You can score one ticket per item, which really adds up! On my weekly trips, I average about 20 game pieces! These SHOP, PLAY, WIN® game pieces are so much fun to open. 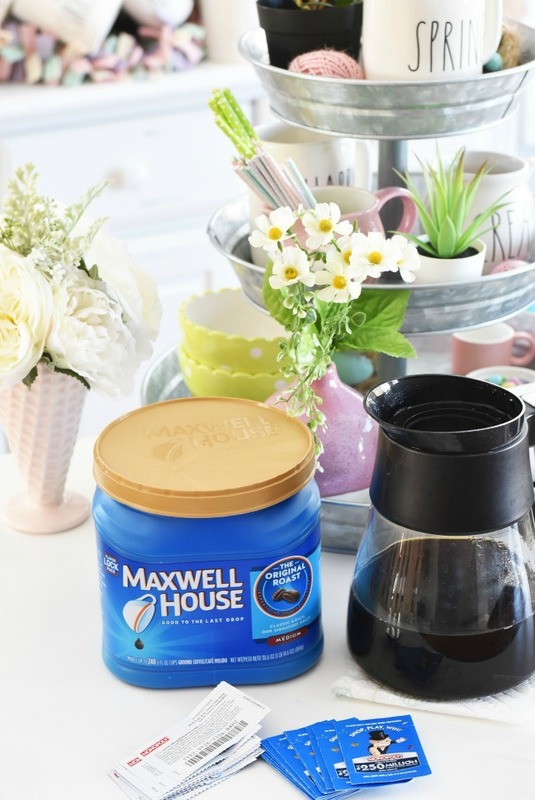 In fact, I save them for when I can enjoy a nice hot coffee and perhaps a sweet treat—relaxing while playing is a must!! 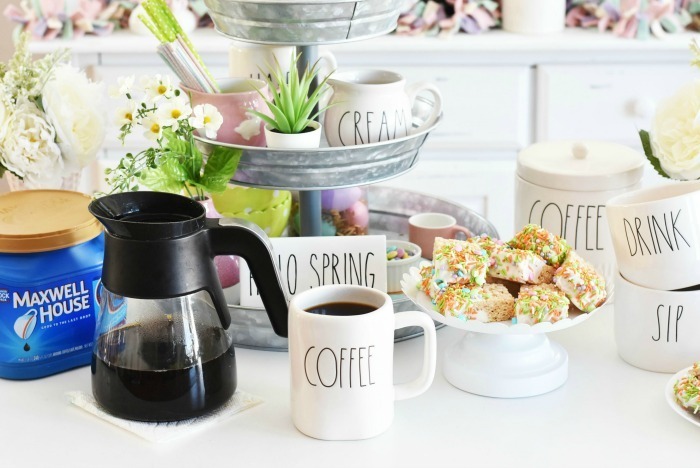 Scroll down for some fun spring-themed candy dipped snacks featuring Kellogg’s Rice Krispies Treats & Maxwell House coffee. What are SHOP, PLAY, WIN® game pieces? SHOP, PLAY, WIN® game tickets are little blue paper tickets that are sealed on both ends and feature a participating brand on the outside. Inside, there are 4 game pieces and either a coupon/instant freebie or an online game code you can enter (or scan) on the Shop, Play, Win App. To play, you match up the game pieces (which have a sticky side when wet) to the MONOPOLY Collect & Win game board areas that have that code (pick up at a game board at your local store!). Once you have all the game pieces you need for your prize, return it to your store’s customer service or mail it in to claim. How to Earn SHOP, PLAY, WIN® game pieces? These game tickets and pieces can be obtained (while supplies last) for qualifying brand purchases. You can earn as little as one per shopping trip or upwards of 50 (or more) depending on what you buy. 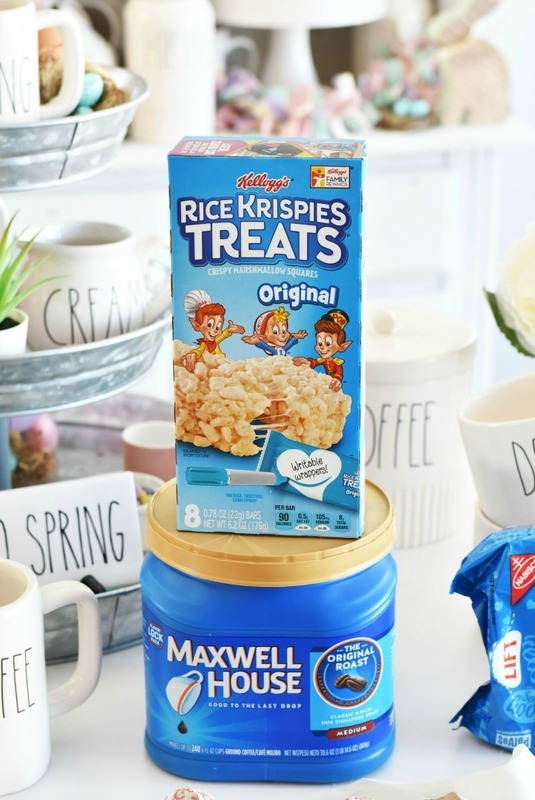 It really all depends on which brands you are looking to stock up on. Using the Shop, Play, Win App is so easy! 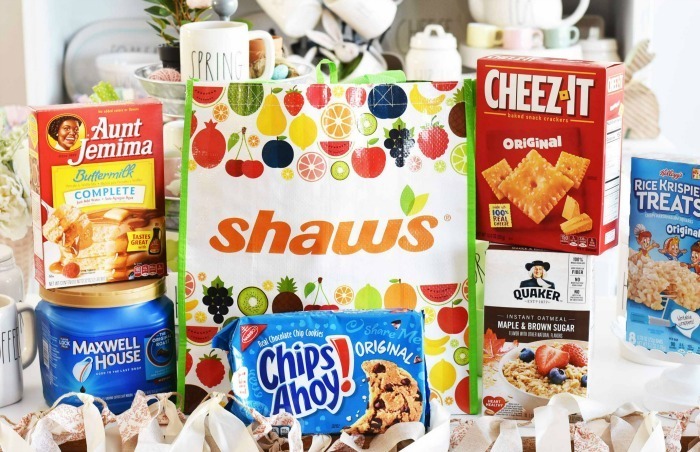 Simply connect your Just For U Rewards account (mine is the Shaw’s app) via phone number to link your account. 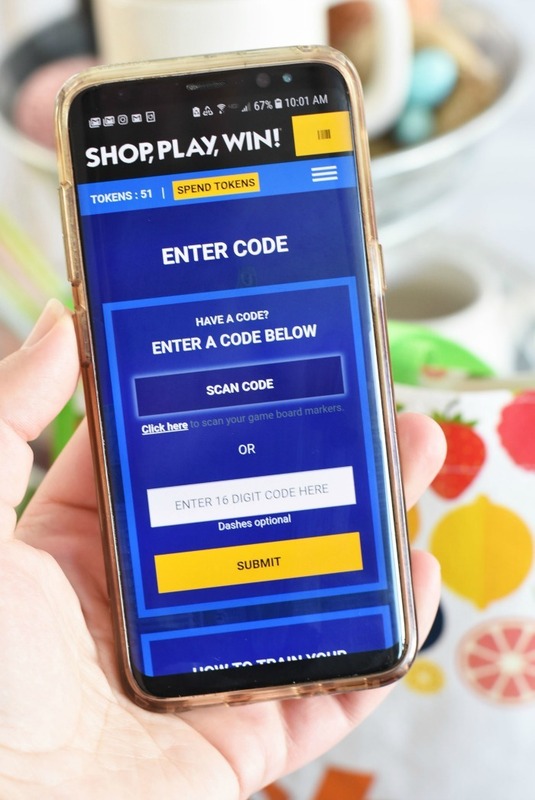 If you do not have your retailer’s app, you can sign up and use the same phone number to open/connect your Shop, Play, Win App. This makes playing so much easier because if you win an exclusive coupon, it is connected to your Just For U Rewards account. So far, I have won many instant freebies for free food and coupons. I have also won many partner offer discounts, as well as bonus game pieces. While I have not yet won a game board prize (I hope I do soon..haha) I have earned so many online tokens via the app for bigger sweeps! When Does MONOPOLY SHOP, PLAY, WIN® end? You can play this fun game from now until May 7, 2019 (or until all games pieces have been distributed). 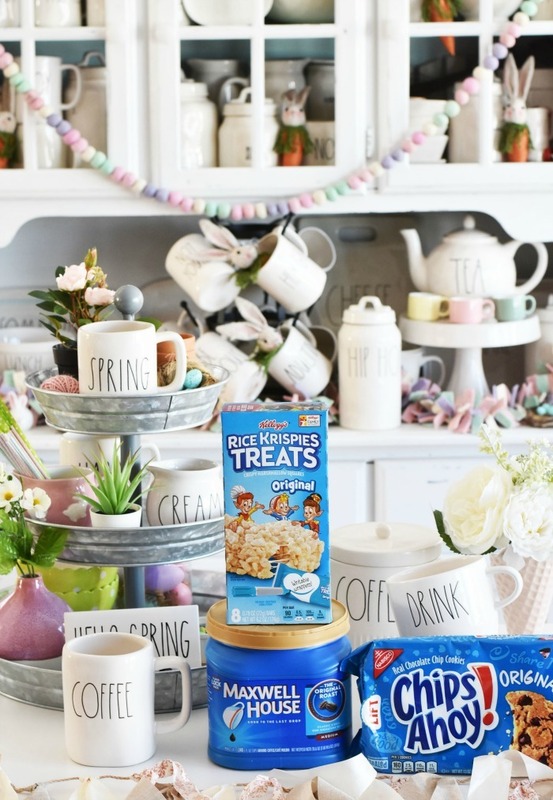 With spring in full bloom, I was excited to stock up on some of my children’s favorite snacks—which happen to be Kellogg’s Rice Krispies Treats and Chips Ahoy cookies. 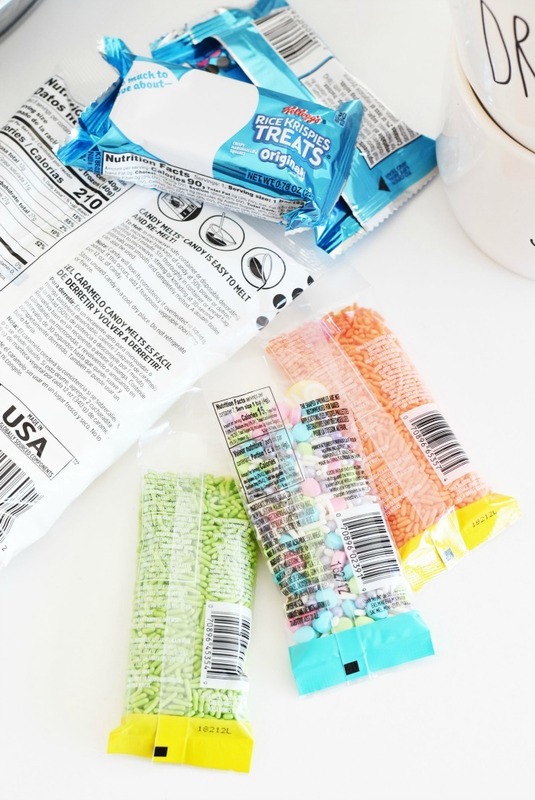 These MONOPOLY SHOP, PLAY, WIN® brands are our faves for shortcut snacks! Simply melt your candy over a double boiler until creamy. Remove from heat and dip treats in halfway. 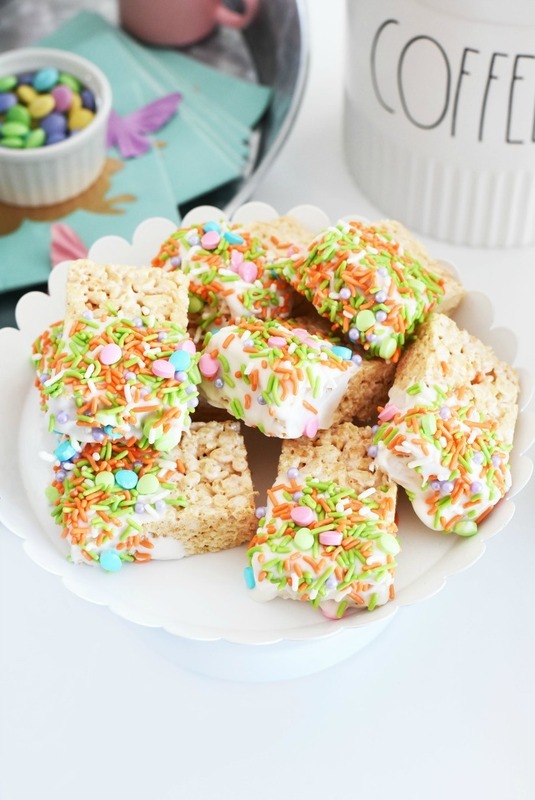 Sprinkle with spring mix and then place them on a wax paper-lined sheet. Repeat until treats are done. 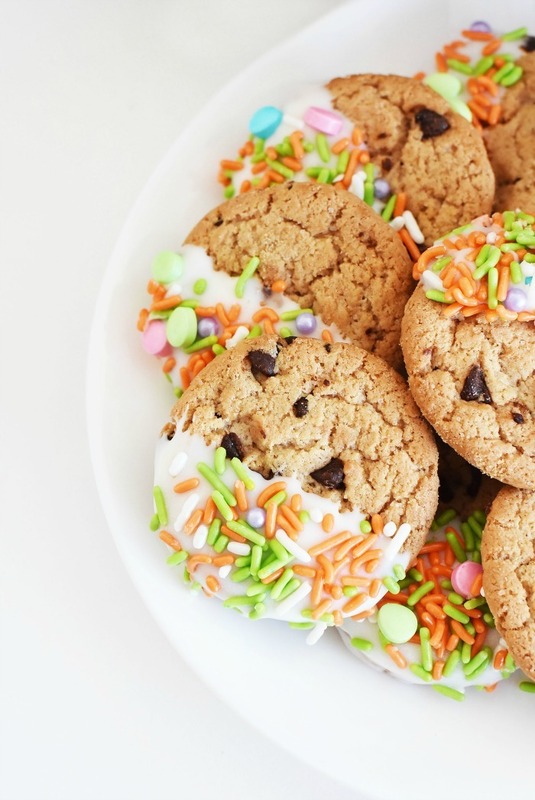 Allows treats to harden and enjoy with some milk, juice, or Maxwell House Coffee. 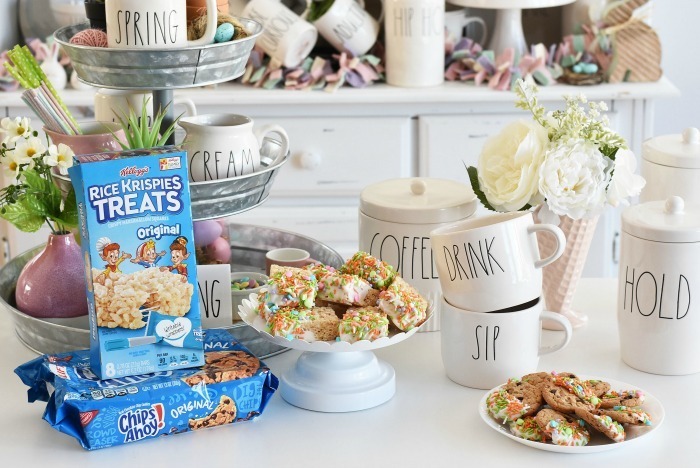 As you can see, playing the MONOPOLY Collect & Win game at Shaw’s and making these Candy Dipped Rice Krispies Treats is so much fun! Be sure to head to your participating Albertsons family of stores to play! 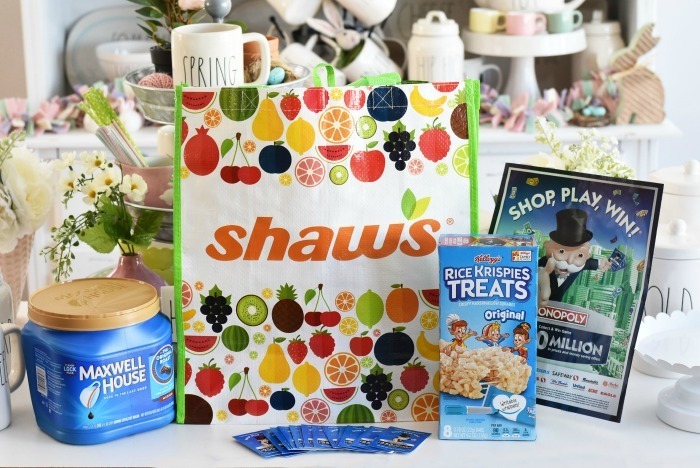 I play the MONOPOLY Collect & Win game at my local Shaw’s, but you can Shop, Play, Win! at any of the Albertsons Companies stores like Albertsons, Safeway, ACME Markets, Jewel-Osco, Pavilions, Randalls, Tom Thumb, Star Market, Carrs/Safeway, United Supermarkets, Amigos, Albertsons Market, Vons and Market Street stores.